I’m so excited to be offering this LIVE on-line training, Becoming A Medical Intuitive 2019. This experiential series consists of four evening seminars. Each seminar is two hours in length. You'll also be able to ask me questions on the online learning platform during the duration of the LIVE seminar series. I'm so looking forward to you joining me. Your immediate BONUS! When you purchase this course, you'll receive the original all-audio 10 -Lesson program, first released in 2010. This program is filled with different practices than that of the LIVE seminar series. Each of these Lessons have elevated the skills of countless people before you. 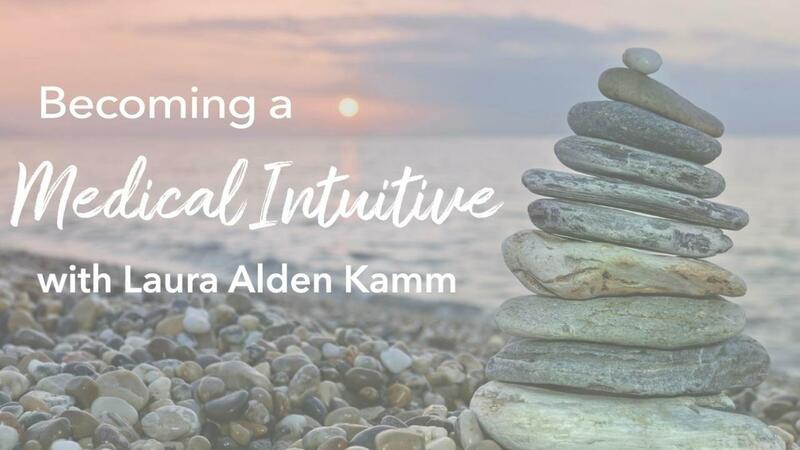 Each Lesson will take you through the foundational skills needed to enter into the field of intuitive wellness, and prepare you for the more advanced and exacting skills required for the field of medical intuition. It will help set your course for the practical use of intuition in your everyday life, support your skills in the healing arts, and provide buoyancy in your spiritual path. It will also prepare you for the Live event beginning on February 18th. Please note: This is a digital course, and therefore, is non-refundable. It is a pleasure to offer this course to you. Take your time and repeat the lessons and practices that speak to you. Watch the replays of the seminars whenever you want. The video replays will be up on the learning platform within 48 hours. You can access this live-streaming platform at anytime, anywhere on various devices - computers, tablets, and your smartphone, 24/7. I'm looking forward to you joining me in this foundational, live-streaming training. The practices I will be teaching will open and strengthen your intuitive pathways and your personal familiarity. I'll guide you as to how to increase and stabilized your foundational empathic levels of intuition, so that you can trust your intuitive and body sensory nature and not feel so overwhelmed. This is a practice-filled course. Your intuitive system lives with you. It is a living ecosystem that is organic to your soul and body. This seminar training, Becoming A Medical Intuitive 2019, is intended to help guide you into living and becoming the intuitive person you are and up-leveling your natural skills. For those of you in the Holistic Healing Arts, no matter the discipline, you need these skills when working with people and their body's wellness. For those of you who wish to be more in touch with your own intuitive system to help your self and family, this will open new doors for you as well. Becoming A Medical Intuitive will help set your course for the practical use of your intuition regarding your personal and spiritual growth, your professional service, and in your everyday life.